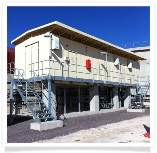 Pre-fabricated modular substations, built to client specifications. Excellent and cost effective alternative to conventional brick and mortar buildings. 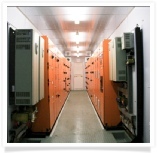 Marine containers modified for substation application. 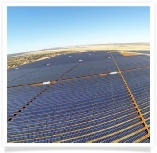 Options include insulation, flooring, lighting & small power, air conditioning, fire suppression etc. 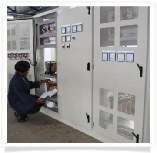 Comprehensive range of fixed, de-mountable and withdrawable motor control centres which comply with relevant IEC and SANS standards. 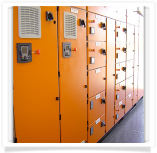 Floor standing heavy duty distribution boards with current ratings up to 6000 amps. Comply with relevant standards. 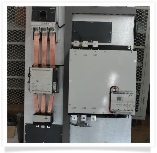 Range of wall-mounting distribution boards and kiosks, ideally suited for industrial installations. 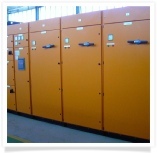 Comprehensive range of floor standing panels for automation and related applications. 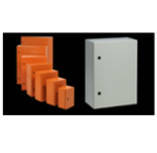 Comprehensive range to open and enclosed sarter panels, designed to customer requirements and manufactured for indoor or outdoor applications. 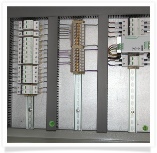 Any customer – specific panel, designed and manufactured for indoor or outdoor applications. 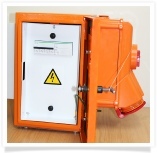 Standard or special enclosures to suit customer needs and specifications. Available in mild steel, 3CR12 or 304 stainless steel. Variety of colours. 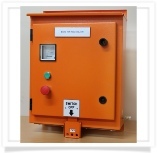 Range of field isolator panels manufactured to suit customer requirements. Range of Welding Socket Feeders with integral earth leakage protection. 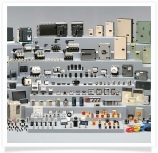 Full range of electrical component spares and equipment to support customer installed base. 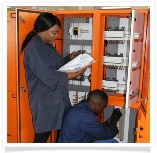 Comprehensive range of products including PV Kiosks, string boxes, generator junction boxes, AC/DC distribution and control panels. 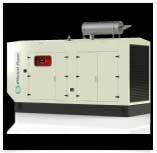 Full range of ‘Efficient Power’ diesel Gen Sets from 62.5 kVA to 750 kVA.